With Olaf Manthey and his team busy in the 24 Hours of Spa-Francorchamps, where they oversaw the international debut of Porsche’s new GT2 contender, the Alzen brothers were expected to win the RCM DMV-Grenzlandrennen, round 6 of the 2006 German Endurance Championship. 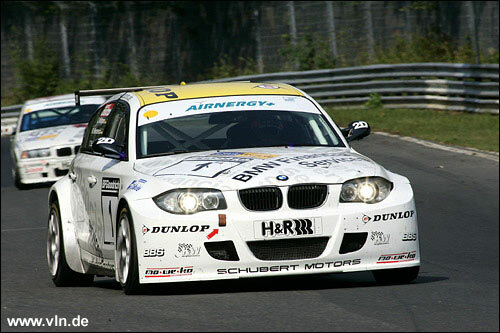 Uwe Alzen was flown in from the Porsche Supercup at Hockenheim, where he finished second – and Briton Richard Westbrook secured the 2006 title – and took over the family car from brother Jürgen during the race. Without an über-fast qualifying lap from Uwe, the Alzen team found itself relegated to third spot on the grid for once; pole position went to the Land Motorsport 996 GT3 RSR of Marc Basseng / Patrick Simon, with the RS of Peter and Christian Mamerow alongside them. Best non-Porsche was the Zakspeed Viper, the German FIA-GT team doing “double duty” on this weekend. Sadly, Zakspeed’s outing was about as successful here as it was at Spa. The Zakspeed and Mamerow Porsches made the pace at the head of the field throughout the first nine laps. At this point, the Land car got back into the lead of the race as Christian Mamerow clambered out of his smouldering Porsche at the end of the Döttinger Höhe straight – the Land crew will sympathise as much the same fate had befallen their car in the 24 Hours. Nevertheless, Basseng/Simon then found themselves hunted down by “Little Nelly”, the black Alzen 997. Uwe was in the house and started reeling them in, cutting their advantage by ten to twenty seconds per lap. As the Land car pulled into the pits for a regular stop, the Alzen car took the lead, only to have a driveshaft fail on lap 18. And that was it as far as the fight for the lead was concerned; Basseng / Simon changed into cruise mode and secured their second win of the year, some 5.5 minutes in front of Andreas and Ralf Schall in their ex-DTM Opel Astra coupé, and a full lap ahead of “Fräulein Ringtaxi”, Sabine Schmitz and Klaus Abbelen in the 997 Cup. 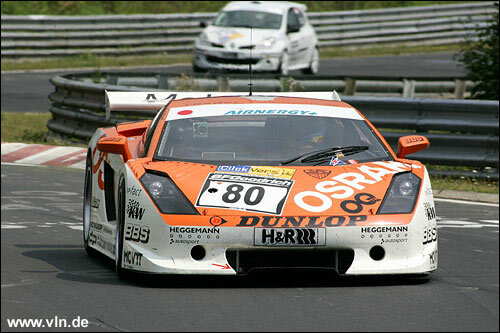 Another fine performance came courtesy of Raeder Motorsport and drivers Hermann Tilke / Dirk Adorf / Peter Oberndorfer; they brought their Lamborghini Gallardo into the finish for the first time, and right away moved up to fourth place overall and won their class. No bets are taken on who is still in the lead of the points standings: Claudia Hürtgen and Marc Hennerici again won the diesel class, seventh overall with the little BMW 120d. Next up is the longest race on the German Championship calendar, over 6 hours on August 26. 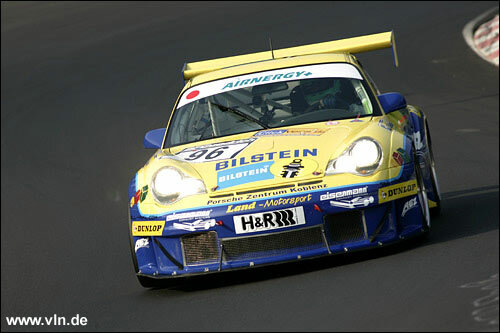 3 97 Abbelen, Klaus / Schmitz, Sabine Porsche 997 Cup 25 4:01:35.